If you or a loved one is having difficulty navigating staircases in a home or office now is the time to consider purchasing a high quality stairlift from Indy Stair Lifts. Senior men and women, people recovering from recent surgery and older folks who have debilitating conditions associated with illness or age have increasing difficulty moving around. From bad backs and hips to sore legs and feet some people find it near impossible to climb even a small set of stairs. When mobility has become a hindrance for you or a loved one it’s time to look into low cost stairlifts that will make life at home or in a commercial building much easier. While some stair lifts can cost as much as $8000 you can still find low cost chair lifts that start at $1500 and with the financing options at Indy Stair Lifts you may be able to qualify for a payment plan that can be as low as $89/month. 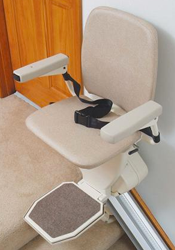 Though some would consider a home or office stairlift a luxury the simple fact is that many people need a chair lift to continue living the life they are accustomed to. Having entire floors of your home inaccessible due to stairs you can’t get up severely limits your activities and can cause feelings of inadequacy and even depression. Don’t limit your life by letting stairs get in your way. Shop the great selection of low cost stairlifts at Indy Stair Lifts and find the model that is right for your needs. Finding a low cost stairlift is not hard and many people are surprised to learn how affordable a residential or commercial stair lift can be. 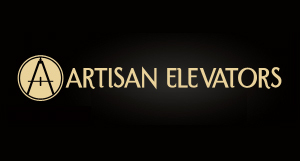 Once considered a luxury for the wealthy many people are discovering that stair lifts and commercial chair lifts can be had at discount prices and are well worth the cost when factoring in the amazing sense of freedom people feel when they are once again able to freely move about their homes or office.